Get in touch with your inner caveman. Grow the timeless beauty of ferns. All hail the heartiest of the hardy! We pause to praise those noteworthy, garden-worthy perennials and grasses that can take it on the chin and keep on grinning. When we say these plants are "pretty tough," we mean it both ways: They're beautiful, and they're downright rugged. 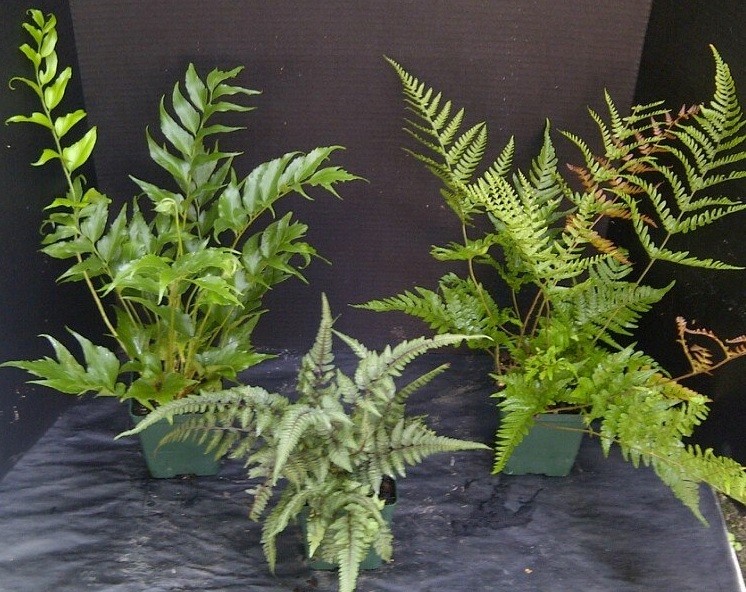 Deceptively dainty, ferns bring textures available in no other plant category. From the dawn of time, ferns have seen it all. Our best-sellers graced the world's gardens a century ago. Their ancestors shared the planet with dinosaurs. Don't take our word for it, just consult the fossil record. Japanese painted fern is the only fern genus ever to garner the prestigious Perennial Plant of the Year award. Fortune's holly fern is fast-growing and erect, with glossy dark green leaves. Autumn fern starts coppery bronze and ends Kelly green. Or is it the other way around? Ostrich fern has one of those Latin names that's just fun to say. This American native is deer-resistant, tall and showy! Korean tassel fern features stiff, arching fronds laden with lacy-edged deep green fronds.